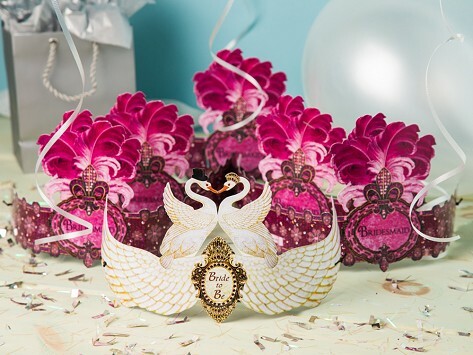 Whimsically designed paper tiaras that will make any birthday boy or girl, bride- or mom-to-be, favorite teacher, or graduate feel like royalty on their special day. Party Packs include 6 one-size-fits-all wearable tiaras. Dimensions: 13" x 6.5" x 0.06"
This are just the bees knees, thank you Grommet for always caring the best selection of goodies! I put this on the table where the birthday boy was sitting and the whole atmosphere was lighter. A fun product to use for many events. 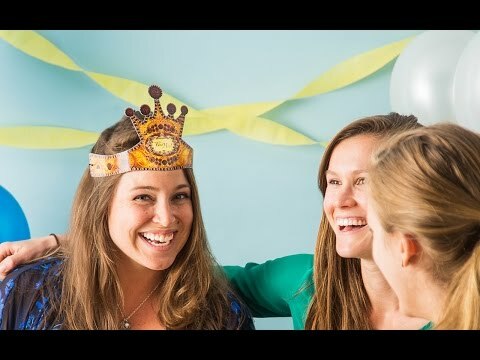 Heart the Moment Founder Fern Solomon thought she had found a hobby when she started making fun, quirky greeting cards that turned into party crowns. She’d been giving her unique, vintage-designed tiaras to friends and family celebrating special events for years, but was surprised when her son-in-law asked, “Where’s my crown?” on his birthday. Fern realized she had something significant: A unique product that makes people feel like royalty on their special day. The cards deliver cheerful messages for birthdays, baby showers, bridal showers, graduations, and other special occasions. The party crown designs are whimsical collages that have a definite sense of humor— all the better for making someone a celebrated center of attention. Fern is a fierce advocate of Made in the USA, and Heart the Moment cards reflect her passion. They are made here and can be mailed without extra postage. Even better, they can be kept and reused for future celebrations.